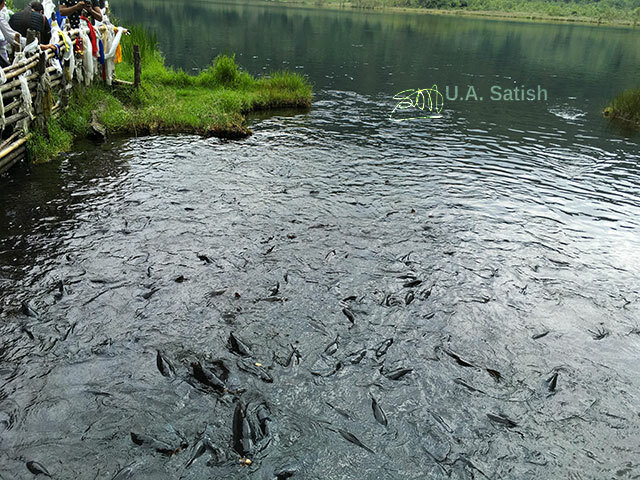 Khecheopalri Lake is sacred for Buddhists and Hindus alike. It is a wish- fulfilling lake. It is located near Khecheopalri village at a height of 5,577 feet. Gangtok is 134 km (5 hr 18 min) away. Pelling town is 31 km (1 hr 21 min) to the north east. 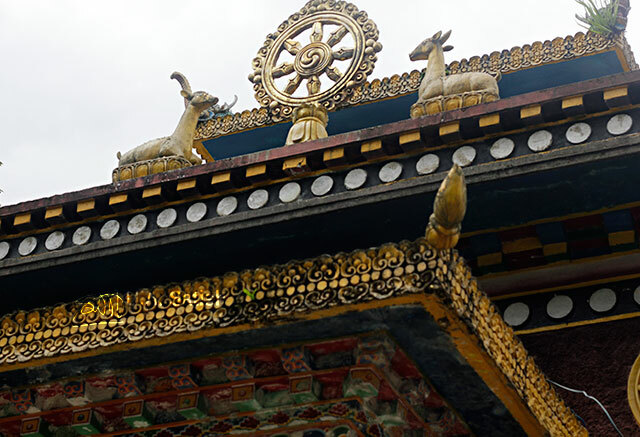 The area is also known as a land of hidden treasures blessed by Guru Padmasambhava. He is generally referred to in Tibet as Guru Rinpoche which means precious master. A nominal entry fee is payable. You walk along a narrow path for about 500 metres. At the end of the path, a covered wooden deck extends to the lake. Visitors have to take off shoes before entering the deck. We saw prayer wheels on both sides. Khecheopalri means mountain of blissful heaven. According to a legend, the place was once a grazing ground. One day a pair of conch shells fell from the sky. After that, the ground shook violently and an immense spring of water engulfed the area. This transformed into a large lake. 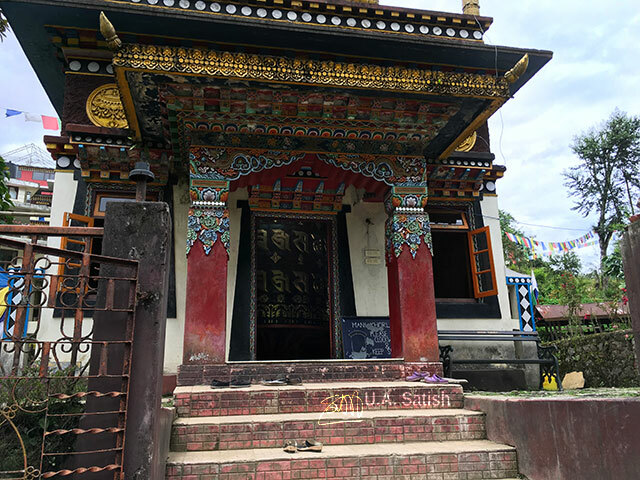 Khecheopalri Lake is part of the Buddhist pilgrimage circuit covering Yuksom, Dubdi Monastery, Pemayangtse Monastery, Rabdentse ruins, Sanga Choeling Monastery and Tashiding Monastery. 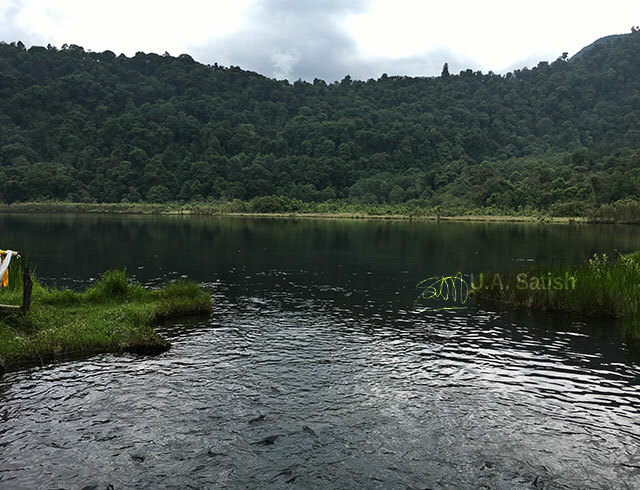 A fascinating fact about the lake is that there are no leaves floating on the water even though a forest surrounds it.. It is believed that birds do the taxing job of picking up leaves from the lake. The lake is brimming with fish. Locals do not eat the fish. 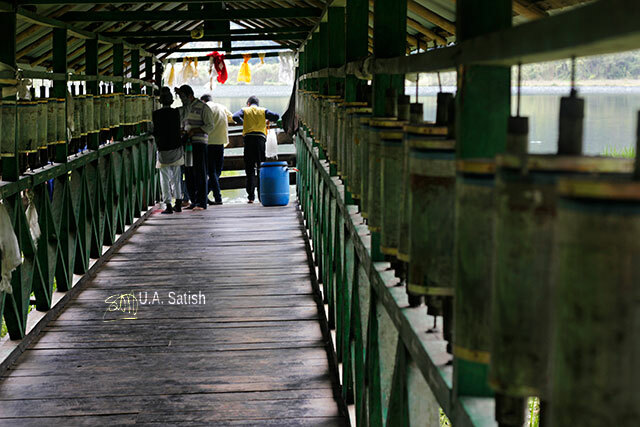 They believe that the lake is holy and consuming the fish is taboo. A small Budhist temple can be seen near the lake. It is built in the traditional architectural style. I could see a huge prayer wheel through the front door. 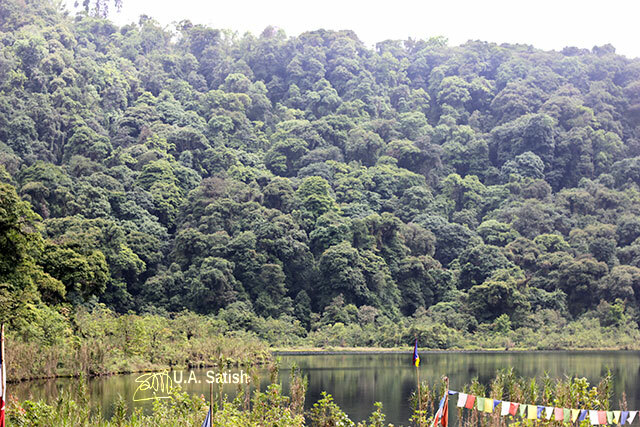 You can travel by taxi to the lake from Geyzing or Pelling. The fare will be around Rs. 2,000. The trip includes brief stops at two waterfalls on the way. Alternatively shared taxis leave for Khecheopalri lake from Geyzing town once a day after 1 pm. Did you like my post? Follow me on Instagram, Flickr and Facebook . Please feel free to leave your comments.